Hello. We are Adele Rae Floral Art & Design. 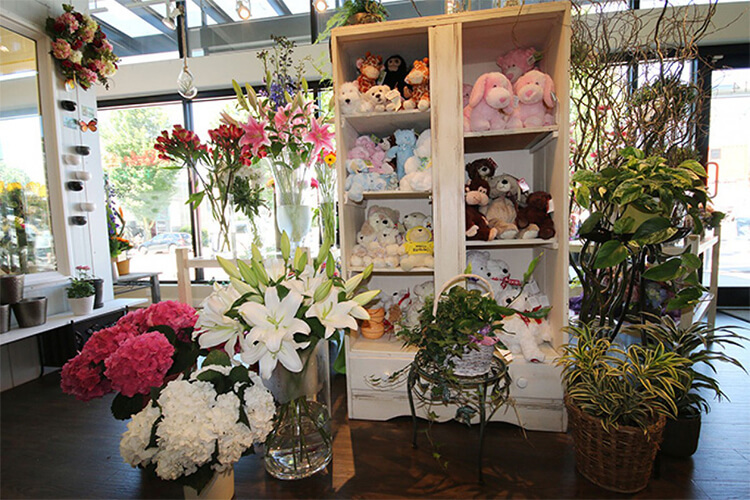 Serving Metro Vancouver since 1963, Adele Rae is proud to be a family owned and operated florist. Adele-Rae's fresh flowers and floral arrangements of the highest quality will help your message touch people's hearts. We deliver in Burnaby, Vancouver and many surrounding Lower Mainland areas. Our flower shop uses specially selected blooms and strict quality controls to ensure that your floral arrangements arrive in perfect condition and last longer than expected. Shop with the peace of mind that we always go the extra mile to make your flower gifts perfect. Choose bouquets from petite to large and luxurious... Perhaps you'd like a personal way to say "I love you", or maybe present your condolences through flowers... You can count with Adele-Rae Florist to help and guide you in choosing the best flowers for your needs. Adele-Rae Florist celebrated 50 years of business in 2013. The story of our proud flower shop begins in 1963 with Vera Banner, who built its foundation through hard work and friendly service. A few years later, Kathy Hanson inherited her mom’s work ethic and commitment when she joined the flower shop in the early 1970s. She eventually inspired her own son, Aren, to join the Adele-Rae Florist family, adding a new perspective on the business. “Our favorite part of this job is getting to know our customer and offering fresh, quality flowers and designs for birthdays, anniversaries, get wells, thank yous, babies, businesses, and sympathy, as well as the growing trend of people purchasing flowers ‘just because’,” says Kathy. 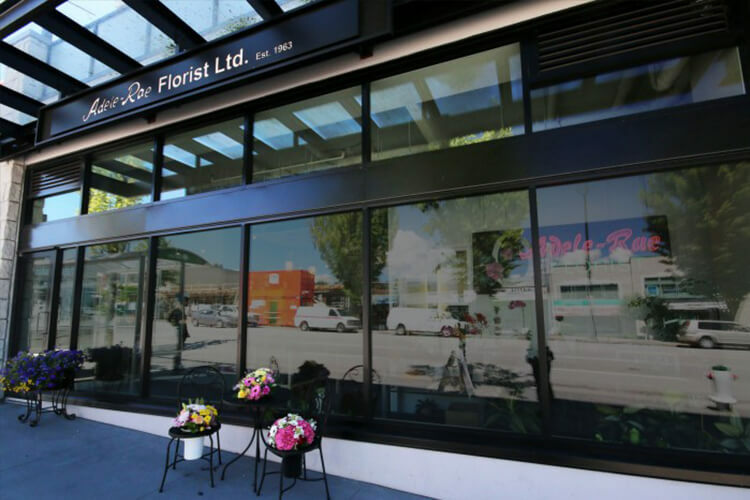 Over the years, thousands of Burnaby, Lower Mainland and Vancouver residents have come to appreciate the Hanson family’s thoughtful service and long-lasting flowers. The care they put into their flowers and their customers that keeps people coming back. In 2018, the care and love put into each customer purchase in Adele-Rae Florist was inherited by a new family: Sergio Carrillo and Nina Koba. Adele-Rae Florist continues to thrive, and most important of all: remains a family owned and operated business, allowing the warm smiles of Nina and Sergio to win the customers hearts with every purchase and customized experience. 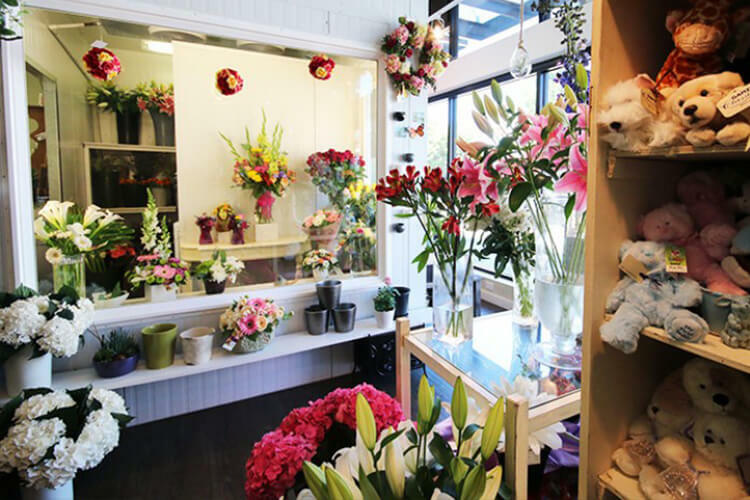 Our proud flower shop was voted “The Best in Burnaby” each year from 2000 to 2013, 2015, and 2016.